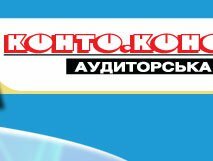 "Conto-Сonsulting" audit firm works in the auditor and consulting services market since 1997. (The Certificate on entering into the Register of subjects of auditor activity №1782). 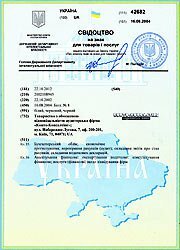 Mazurenko Valery, doctor of economic science, the senior lecturer, the auditor certificate of the of a series A № 000204, given out on the basis of the law of Ukraine « On auditor activity » the decision of Auditor chamber of Ukraine №12 from 17.02.1994 heads the firm. Main principles of our work are: professionalism and the responsibility for results of the work, competence and practical experience, independence and objectivity. We well understand specific features of doing of business in Ukraine. We share the of our clients problems and therefore we offer them those services which will can essentially increase a management efficiency of the enterprise, will make it more transparent and attractive to customers, partners, investors and will though create an opportunity for the further development. The personnel of our firm consist of highly skilled experts in the field of audit, book keeping, the taxation, with a significant experience on a wide spectrum of branches of economy. Working languages: Ukrainian, Russian and English. Cooperation with our company can be organized, as on the single contracts on rendering of any kind of services, as well as on the basis of the long-term service agreements. For each task the team of specialists having an operational experience in exact customer’s branch of activity is appointed. The firm has adequate - the technical base, on regular basis updated software - help programs, periodicals. The confidentiality the information is strictly guaranteed to our clients.